I’m Not Worried, You’re Worried. Ok, ok, let’s all just take a step back, have a nice deep breath and remember that this team won the Stanley Cup last year. Or have you forgot? Evaluating this losing skid can be difficult to do because in all has the team played well? Absolutely not. Having said that, the one thing that matters in hockey is getting into the playoffs, because once you get in, you have a chance. You all know me, I’m an eternal optimist who doesn’t like to hit the panic button too quick and I try to come at this with less of a blind homer point of view. The defense, has been horrendous. I hate to bring up that the third pairing since Orpik’s return has left much to be desired but there is no denying it. Kuzy, well I’m not sure he knows what the hell he is doing right now. We’ve seen him go through these stretches every season though, so can he turn it around? He is the most frustrating in this situation because he really is one of the most talented players in the league and a guy that can drive momentum of any game. Can he make pretty passes that are highlight reel passes? Of course—but does he really need to? It’s at this time that going back to the pure basics would really go a long way. Getting into the zone and sustaining O-Zone ice seems to be a huge issue. The team has grinders that can when board battles but more often than not the board battles are being lost and getting the puck deep is a thing of the past recently. With wingers like Oshie and Wilson the pucks can get below the goal line and be one but the puck is being lost at the blue line or just above the circles. Penalties. It’s not rocket science—once you stop moving your feet you are going to take more penalties and that is where the Caps are really taking a hit. Are they tired? Maybe, but there are ways to get through being tired and one of those is shorter shifts. Which is a Reirden decision to which I will get to him in a moment. Secondary scoring is not coming at the same rate it was at the beginning of the season and definitely nowhere close to last year. You can’t go anywhere without the third and fourth lines contributing and they have guys that can really contribute. Reirden is a player’s coach and there is nothing wrong with that. It’s probably a very odd feeling to go from playing the good coach to all of sudden having to be the bad coach to the same group you’ve had for 5 years. He will find his stride but it’s a tough stride to find when you have a team who can win a Stanley Cup and you’re a rookie head coach. Changes can be made at the trade deadline and we all know that Burky is the one on the block. A change MIGHT help but I’m also not sold on it because Andre has looked good even though the numbers aren’t there. My take on all of this since you all are definitely on the edge of your seats reading waiting for it. I haven’t hit the panic button. I’d much rather this losing streak happen now before the All-star break and they come back and build up. The whole idea of a season is to peak at the right time and the right time is the end of the season heading into the playoffs. It’s obvious that there can be no more losing streaks because the division is just far too tough and tight. I think that this is part of playing a lot of games last season and coming out pretty strong this season. So to all of us I say let’s enjoy the break and refresh and reboot and come out on the 1st against Calgary and cheer on the boys. 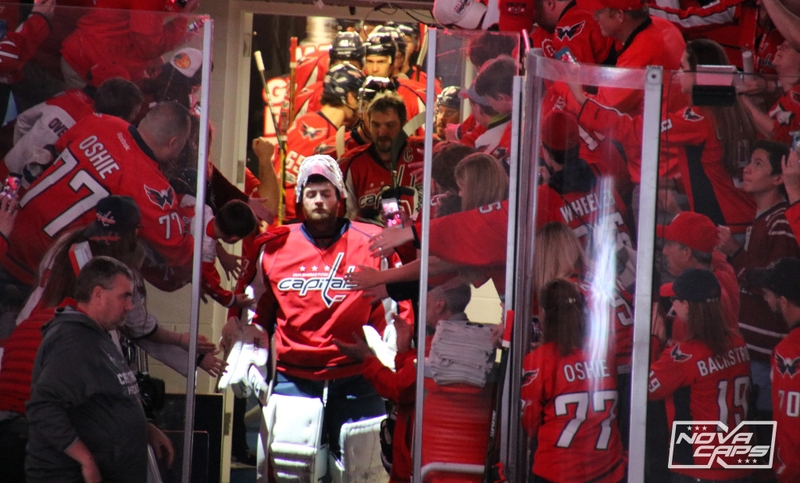 This entry was posted in News, Opinion and tagged 2018-2019 Washington Capitals, Alex Ovechkin, Braden Holtby, Chris McIntosh, Evgeny Kuznetsov, Todd Reirden. Bookmark the permalink. 2 Responses to I’m Not Worried, You’re Worried.